*I’M CLEANING UP SOME OF MY OLDER POSTS AND RE-SHARING A FEW THAT WERE LOST IN THE ARCHIVES. This one was written back in 2012. 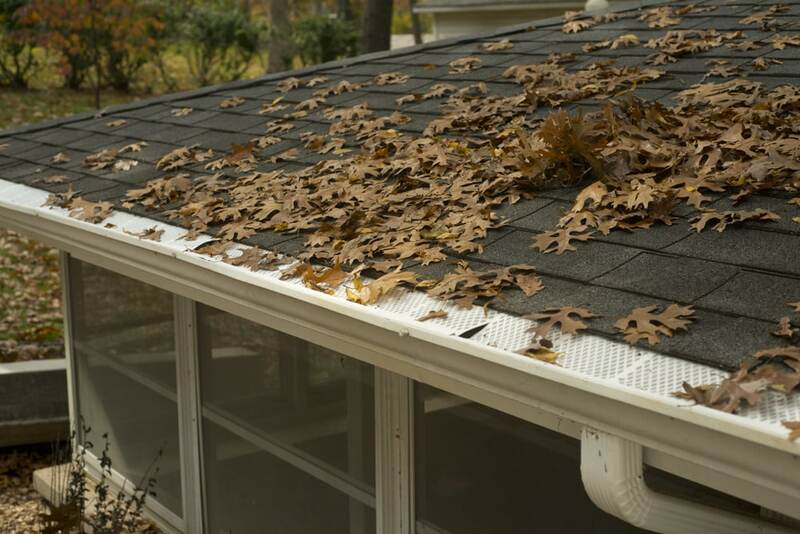 This post is now updated to give you “How To Install Gutter Guards” as opposed to the original post, which was more about the leaf situation at this house. At our previous house we had two trees and both trees were young. They both needed rope to keep them from blowing over on a windy day, so you can say that leaf control wasn’t an issue. We owned a rake but I can’t remember ever using it. Fast-forward to our current house. We have trees everywhere! 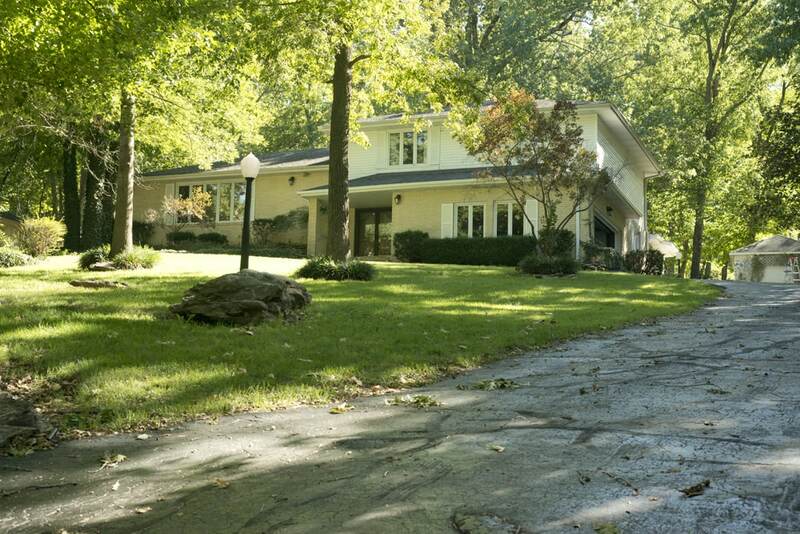 We knew from looking around the neighborhood that there were things that would help us tackle the leaves better than what we had in our old house (one rake!). The first thing we did was buy a leaf blower. We love this leaf blower that we got on Amazon. We’ve now owned that blower 4+ years and it’s still going strong! 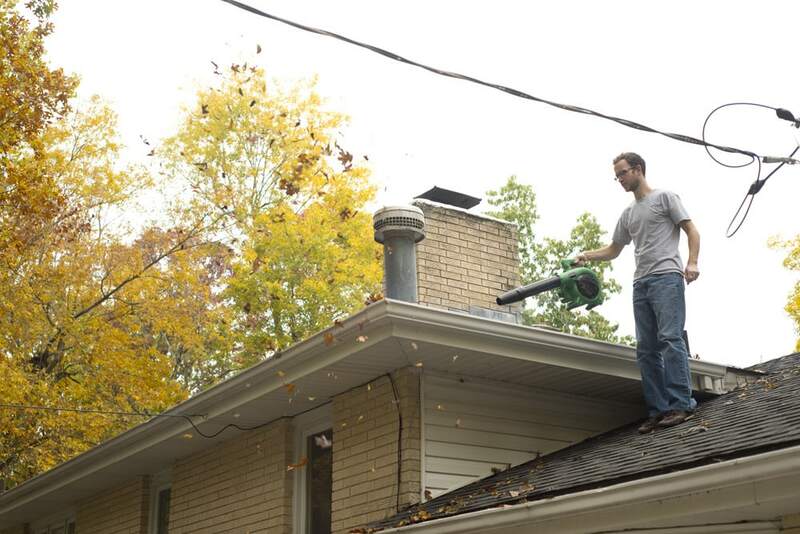 First things first, use your leaf blower to blow all the leaves off the roof and out of the gutter. 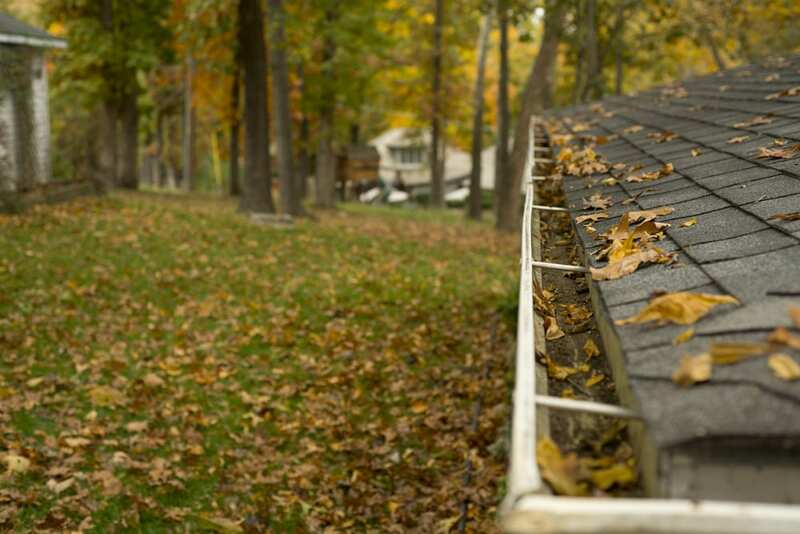 Not all the leaves will blow out of the gutter easily. 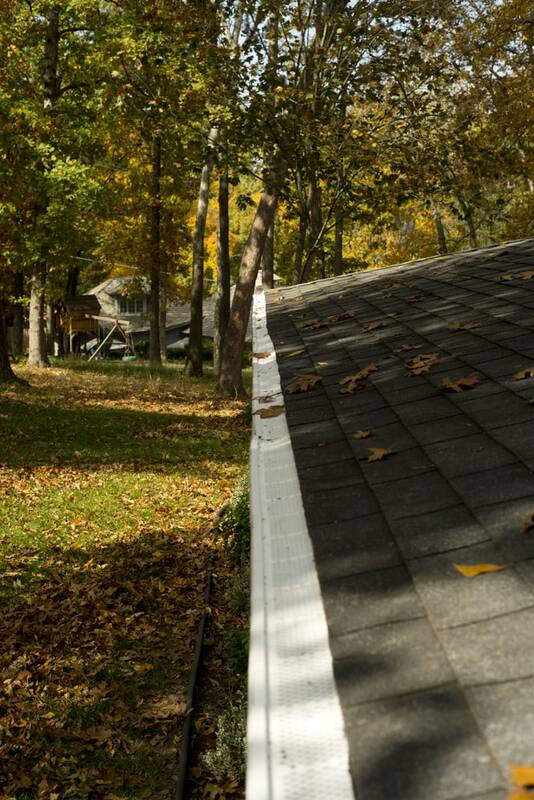 Next, use your leaf scooper or your hands and get the rest of the leaves out of the gutter. 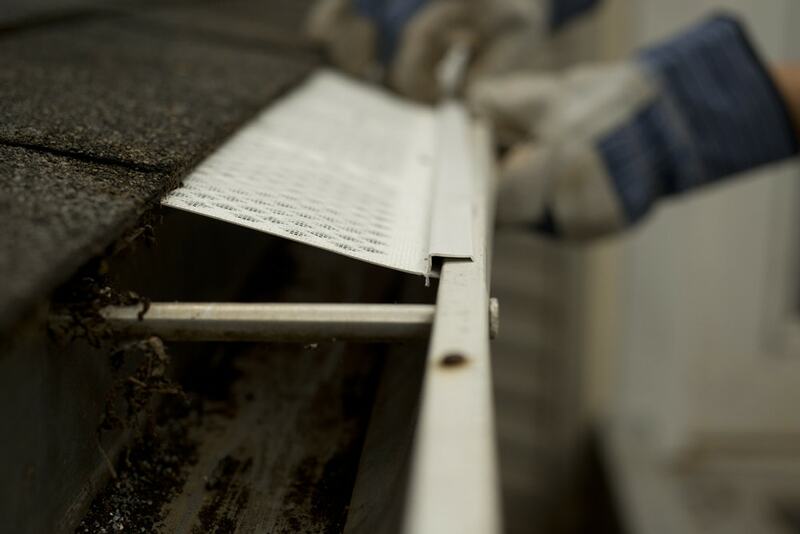 Grab your gutter guards. 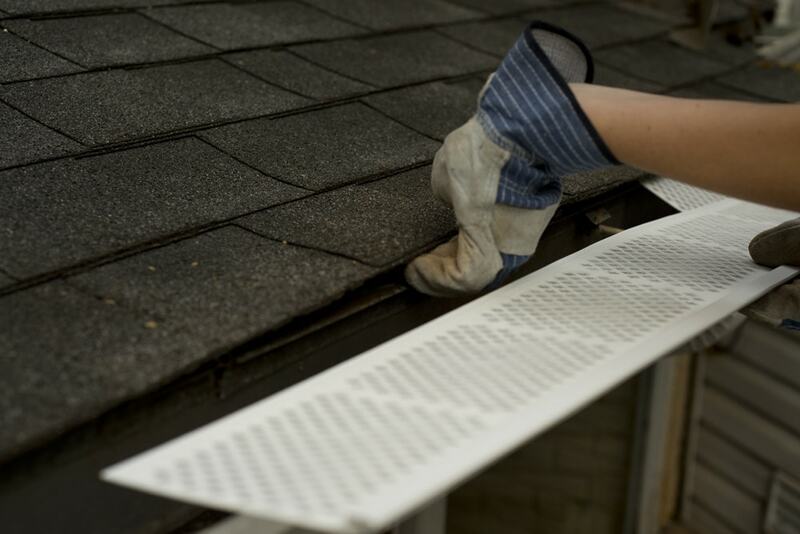 Lift the shingles lightly with one hand, while slipping the guard underneath the shingles with the other hand. Tap down and in place. Keep adding guards along the gutters. When you reach a corner, use snips to cut the piece to the right length. 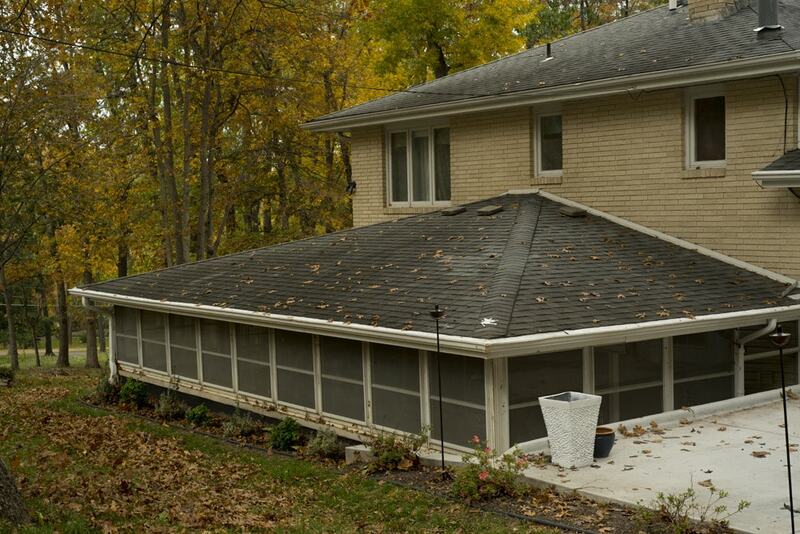 One box of gutter guards ran about $50 and finished the bottom roofline (Sunroom). 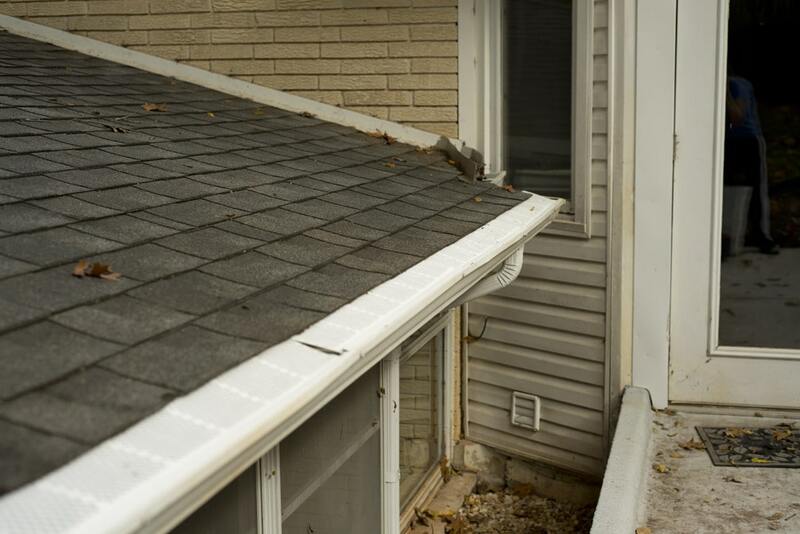 We plan to install the gutter guards around the whole house but haven’t gotten to it yet. We had been having some drainage issues before installing these but haven’t had a single issue since they’ve been installed. 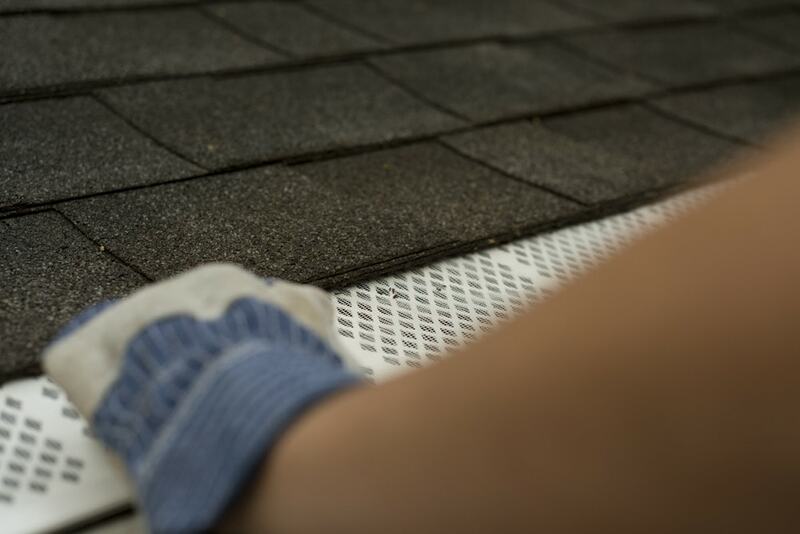 They’ve been keeping our gutters clean and blockage-free.